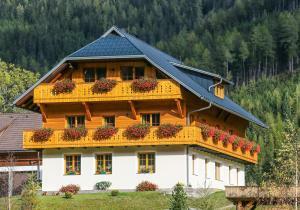 Haus Nocky by ISA Bad Kleinkirchheim Providing mountain views, Haus Nocky is a self-catering accommodation located in Bad Kleinkirchheim, 100 metres from Nockalm Bahn Ski Lift, and provides a sauna and a garden. Other facilities like a shared lounge and ski pass vendor are offered..
Apartments Juri & Hermann 1 price per day from € 64 Apartments Juri & Hermann 1 is 200 metres away from the ski lift and 500 metres from the cable car, also operating in summer. Some offers ski-to-door access in good snow conditions. Hiking and biking trails start directly at the property, shops and a supermarket are just a few steps away. Der Hoferbauer price per day from € 60 . 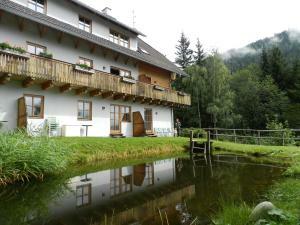 Haus Berchtold Located in Hermagor, 6 km from Lake Pressegger, Haus Berchtold is a self-catering accommodation providing a furnished garden and free WiFi access. Equipped with underfloor heating, the apartments will provide you with satellite TV, a terrace and a seating area. Fitted with a shower, the private bathrooms also include a hairdryer. 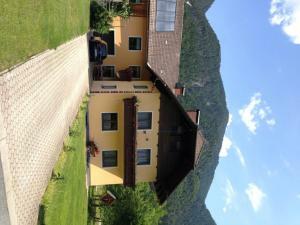 Pension Marienhof price per day from € 90 . 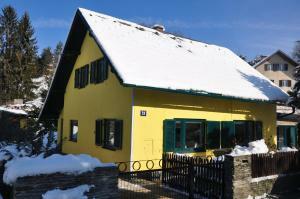 The Old School House price per day from € 45 . Ferienhaus Carmen Newly renovated in 2013, Ferienhaus Carmen is located in a quiet district of Villach and offers a two-floor holiday home with a 20 m² terrace with outdoor furniture and barbecue facilities. 8 km, and the Warmbad Villach Thermal Bath is 4 km away. 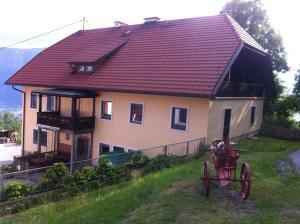 Bauernhof-Pension Stauder price per day from € 78 . Hotel Oremushof Right in the centre of Velden guests can find Hotel Oremushof in a fully renovated 16th century farmhouse. Within a 2-minute walk the shore of Lake Wörth can be reached. Villa Konstanze Located in the centre of Velden, Villa Konstanze is only 2 minutes away from the shores of Lake Wörthersee and the Casino. A buffet breakfast is served every morning and free private parking is possible on site. Pension Elisabeth Pension Elisabeth enjoys a quiet location in the municipality of St. Kanzian, a 10-minute walk from the promenade around Klopeinersee, where you can find a restaurant and the beach. The Völkermarkt-Künsdorf Train Station is 5 km away..
Wunderhaus price per day from € 80 Pörtschach am Wörthersee’s Wunderhaus is within 100 metres of a private beach area at Wörthersee Lake with sun loungers and umbrellas, a restaurant and supermarket. The Wunderhaus apartments have a balcony with lake views, satellite TV, a living area, a fully equipped kitchenette with a stove, a coffee machine, a fridge, and a bathroom with a shower and toilet..
Afritz: excellent nightlife, many restaurants and pubs. Falkert: recommended ski resort for beginners. Heiligenblut / Großglockner: recommended ski resort for beginners. Innerkrems: recommended ski resort for beginners. Kötschach - Mauthen: very good nightlife, many restaurants and pubs. 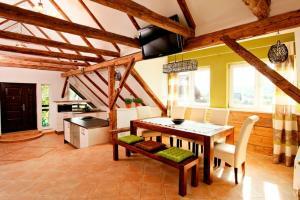 Mallnitz: excellent nightlife, many restaurants and pubs. Nassfeld Hermagor: recommended ski resort for experts. Bad Kleinkirchheim. 98+ apartments !